It couldn’t have been a better night. 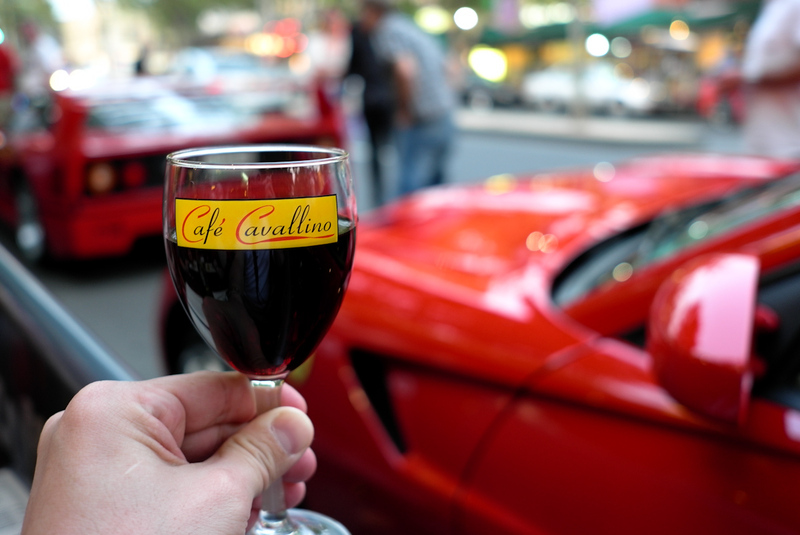 We were having a delicious Italian dinner with our friends, sitting curbside on Lygon Street, and listening to the music of several Ferraris as they started to line the entire block. The restaurant we were eating at is owned and operated by the president of the Ferrari Club of Melbourne. Since Melbourne was also hosting round 2 of the Formula One Grand Prix Championship, the Tifosi were out in full force that night, creating an ambiance of excitement that couldn’t be replicated. In all, there were 9 beautiful, red Ferraris from the older Magnum PI styled Ferrari 348 to the newest 612 and the ultra rare F40.